We offer professional personalized service, innovative design, and great attention to detail. We tailor our design work to the needs and budget of the client, and partner with all trades involved in the project. We have been providing these services since 1978. You can see more examples of our work on our website and on Instagram (@RiemerKitchens). Please contact us for an appointment so we can add you to our family of satisfied clients. 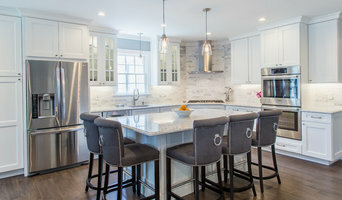 *Exclusive Dealer of Miralis Cabinetry* Intelligent Kitchen is a kitchen and bath renovation studio located within the Upper West Side in Manhattan. We feature contemporary, transitional and traditional cabinetry, appliances, and materials curated for the discerning renovator. Our designers collaborate with clients to create efficient design solutions. 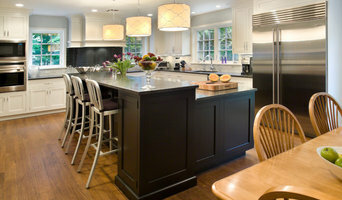 Lauren Park has owned Intelligent Kitchen since January 2012. Her favorite part about designing NYC kitchens and baths are the relationships she makes with clients. With her support she helps client visualize the best design solutions for their space. It gives her great pleasure insuring each client is happy with the end result. Jennifer Cohen has worked with Lauren since the opening of Intelligent Kitchen. Having 5 years experience gives her a great eye for detail. 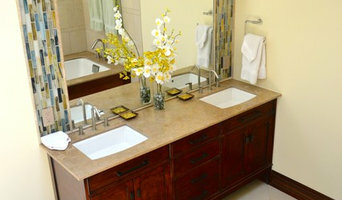 Jen is very detail oriented and loves to create unique spaces for her clients. Our showroom is located at 521 Amsterdam Avenue, New York, NY, 10024. We are open Monday through Saturday from 10am to 6pm. Please feel free to stop by with any question or ideas. Our staff will help you create the kitchen of your dreams. Tile By Design of L.I. Inc is conveniently located 3.7 miles off of Sunrise Highway on Austin Blvd in Island Park, Long Island. Our designers have over 45 years of combined experience to bring to your next project. We offer free in house design service that will make your shopping experience easy and pleasurable to help you achieve your kitchen, bathroom or any tile project you never thought possible. We offer quality ceramic tile, stone, granite, metal, glass tile, porcelain, natural stone, artisan handmade, professional design service, fabrication, installation, autocad design, hand crafted tile, waterjet, mosaics, cabinetry, audio and video.